There are so many ways that a client or prospect will discover your business, become aware, get interested, then finally decided to take action and phone or email you. If you communicate with a web site, blog and Facebook, then consider integrating all three to maximize your marketing impact. 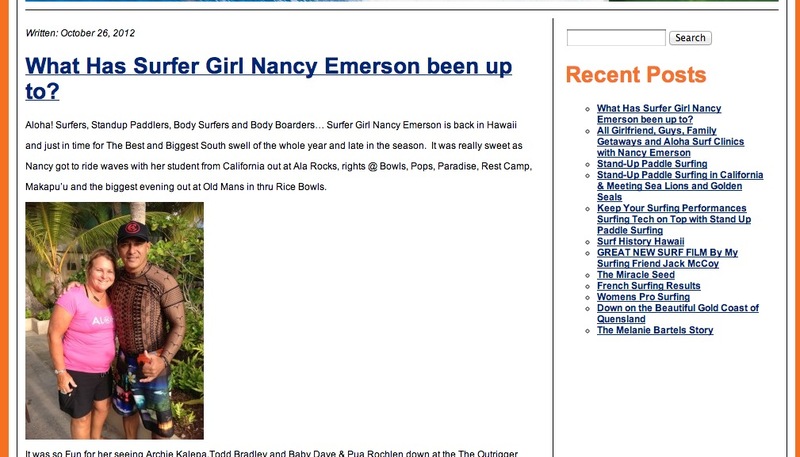 We built Nancy’s web site with WordPress which has excellent support for blogging, so there’s a menu called Blog where you can read the most recent blog posts or search for words in any blog. In Facebook you can install a free app that will automatically publish your Blog post on your Facebook page, this allows you two write the blog once then have it appear both on your web site and on Facebook. There are many Facebook apps that do this: RSS Graffiti, Social RSS. You can even have your blog posts automatically Tweet using a free site called TwitterFeed. The more ways that a client or prospect can read about your business, the better it is for your business. I created this custom theme from scratch. My business is to develop custom themes, plugins and features for web sites, both WordPress and custom. I’m using Twitter for three different accounts: Portrait Photography, PMPA, Marketing EDA. My challenge was how to keep up with all those tweets from my followers, and tweeting of my own. Twitterfox to the rescue. This ingenious Firefox browser plug-in is simple to install and use. Shown above is the pop-up window that appears when you click the little Twitter icon in the lower right-hand corner of your Firefox browser. To swap Twitter accounts I just click on my account name and choose from a list. Simple, effective, free, all of the things that I love. At my marketing web site www.marketingeda.com I wanted to add a Twitter feed using PHP and found something at twitter.slawcup.com/twitter.class.phps that does just that.